Why not seen the beaches and jungle from horseback? This is an ideal tour for children and adults alike. 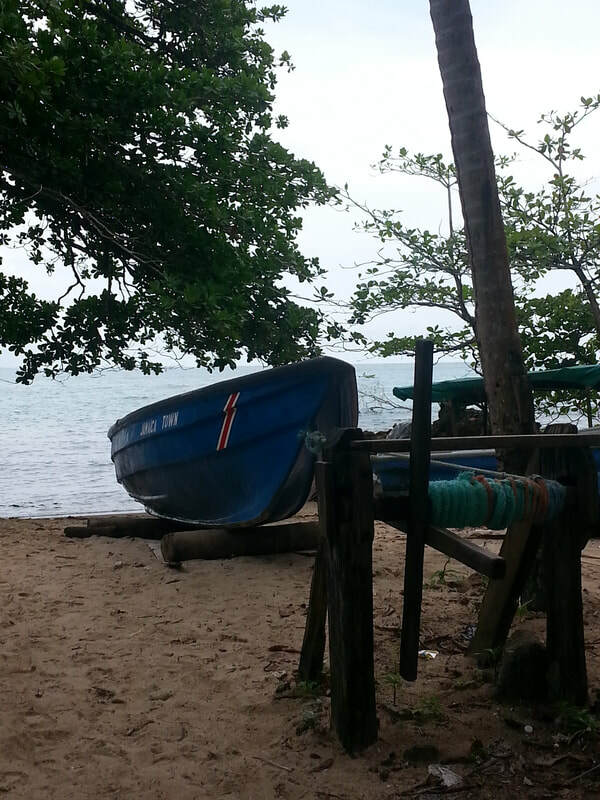 Despite the growth of tourism, many of Cahuita's inhabitants make their living through fishing and if the sea's calm; they'll be selling their catch at about 11:00pm from the dock near the primary school. If you want to try your fishing skills with a hand line, local fishermen will be happy to take you out on a paid tour -- and you can arrange to have your fish cooked and served with rice and beans in coconut milk later. If you're looking to see wildlife, then the National Park is the place for you! We see (and hear) plenty of monkeys around La Casa del Mango, but both White-faced and Howler monkeys inhabit the white beach area where the park is located. 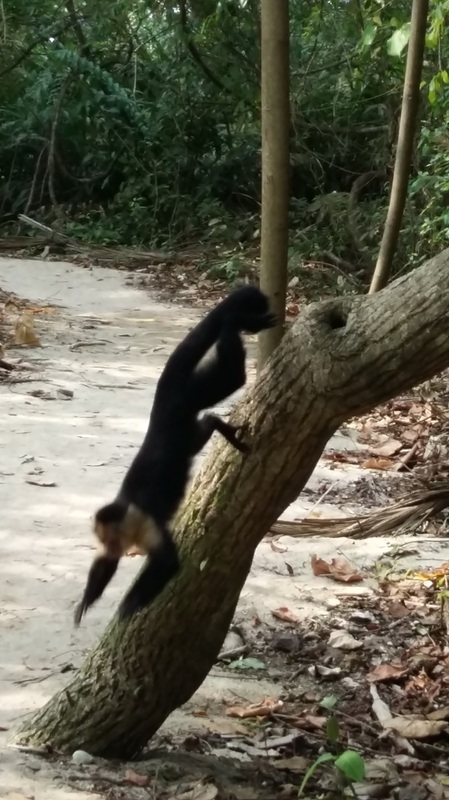 We just dodged this fast moving white-faced monkey as he headed towards us and our snacks. These are the least shy of the monkey species and are very inquisitive. What monkeying around have you seen here? 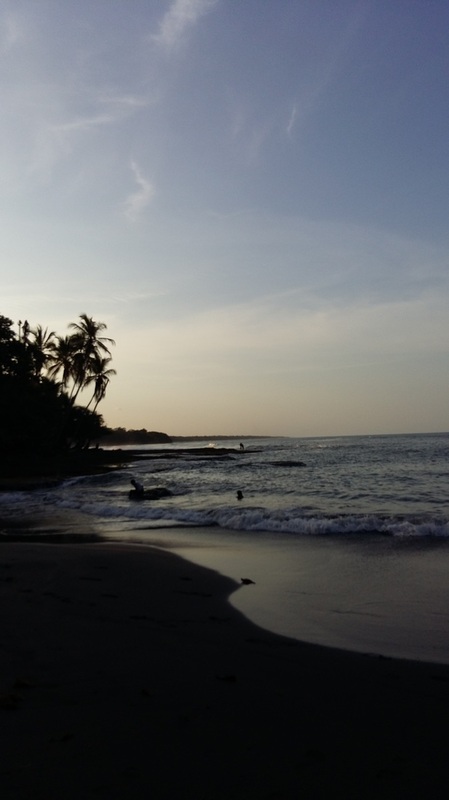 Playa Chiquita is located between the town and Playa Negra. 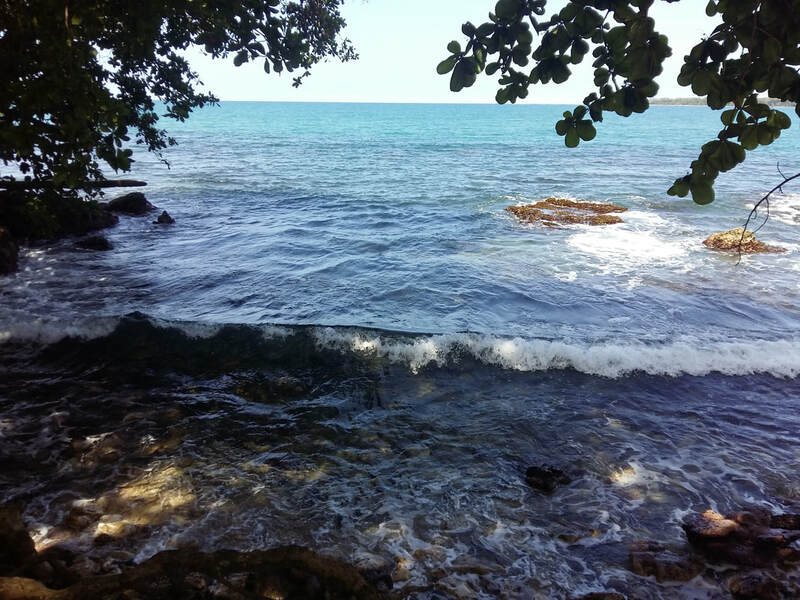 It's a beautiful little bay which is popular with locals who bring their children down to play in the usually gentle waves. 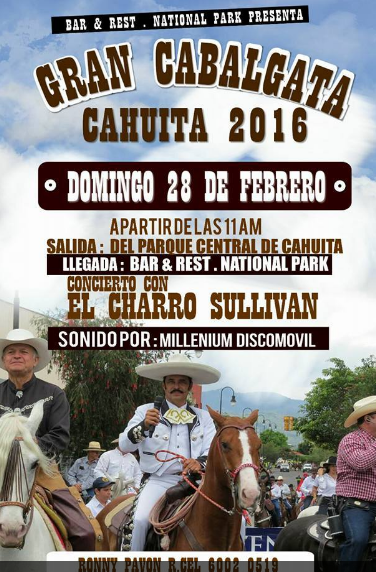 Sunday, February 28th is the date set for Cahuita's grand horse parade! The whole town will be out to see the horses and their riders, dressed up to the nines for the procession around the streets. 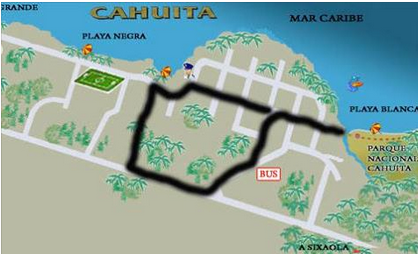 The parade will begin at 11:00 am (this is Tico time, so maybe by noon ;)) from the center of Cahuita, then head up the sea road towards Playa Negra. They'll turn up La Union and return towards the center along the main highway and into Cahuita on the paved road. The end point is Hotel National Park, where Ronnie, the bar manager has more fun organized. After the parade has finished and prizes have been awarded, there'll be a live band and a lot of cold Imperials. 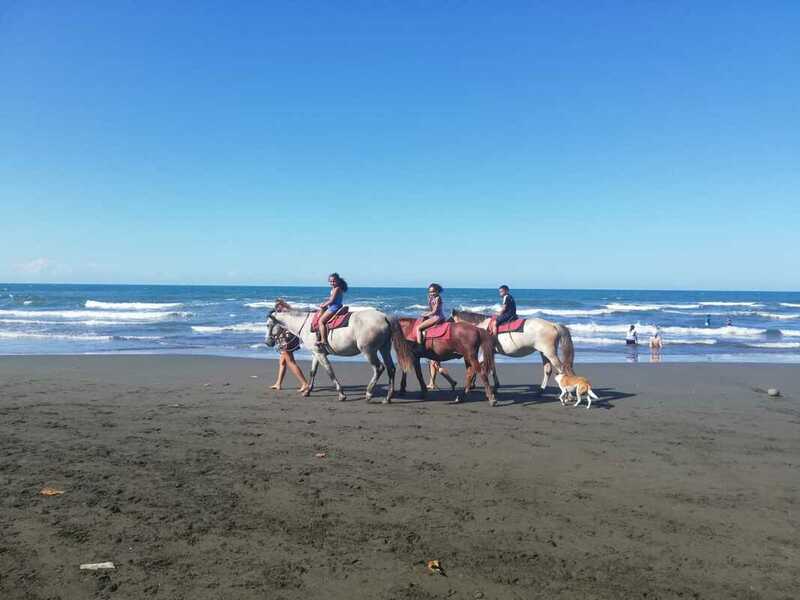 Horse parades are a traditional part of Costa Rican culture and a great day out for all. See you there? Many visitors to La Casa del Mango really want to see a sloth during their stay in Cahuita. Well, it really isn't so hard! 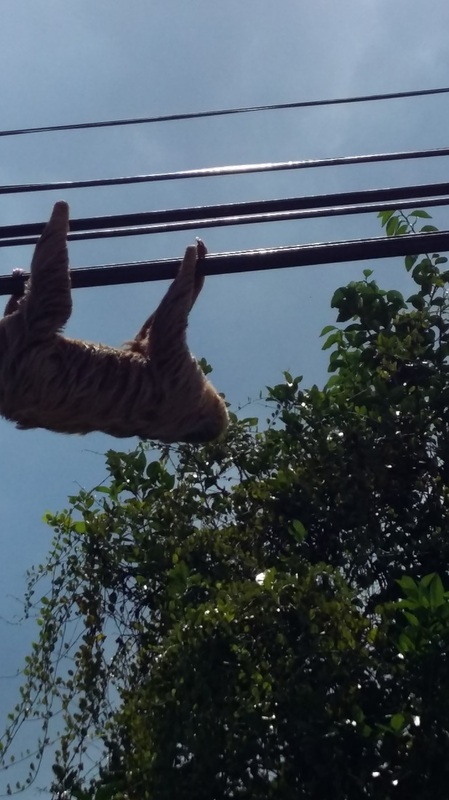 This sloth was hanging out on the electricity cables on the main road into town during the day, although they are usually more active and so easier to see at night. Now, sloths are not static, although they do move very slowly. However, they're creatures of habit and so tend to be in the same places regularly. They're also very fond of almond leaves, so keep scanning the almond trees that grow at the side of Black Beach and the trees in the National Park. You're pprobably going to see them up high as they only come down to the ground to poop every couple of weeks. If you're not lucky enough to see one in the wild, then take a trip to the Tree of Life to see one of their rescued sloths up close. Where have you seen a sloth in Cahuita and we'll add your place to our location list? Cahuita's newest musical talent - Live Saturday! Where is the place to be this Saturday, February 20th in Cahuita? The Reggae Bar is the answer. Cahuita's newest and finest band, Coconut Cross, will be playing live music from 8:00 pm onwards with a combination of classic hits from rock, reggae and other genres to entertain enthusiastic fans. 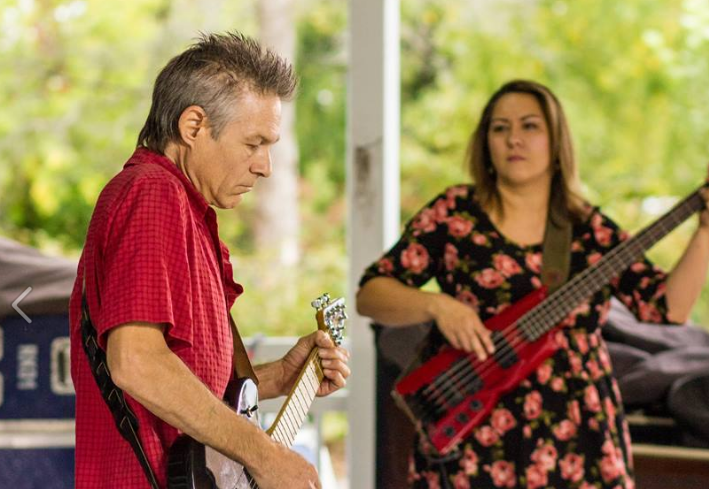 Founding member and manager, Natalie Chantelle Martin, and her partner, both from Cananda have teamed up with locals Nando (of La Casa del Mango) on drums and Junior on bass to form the group. Don't miss 'em! 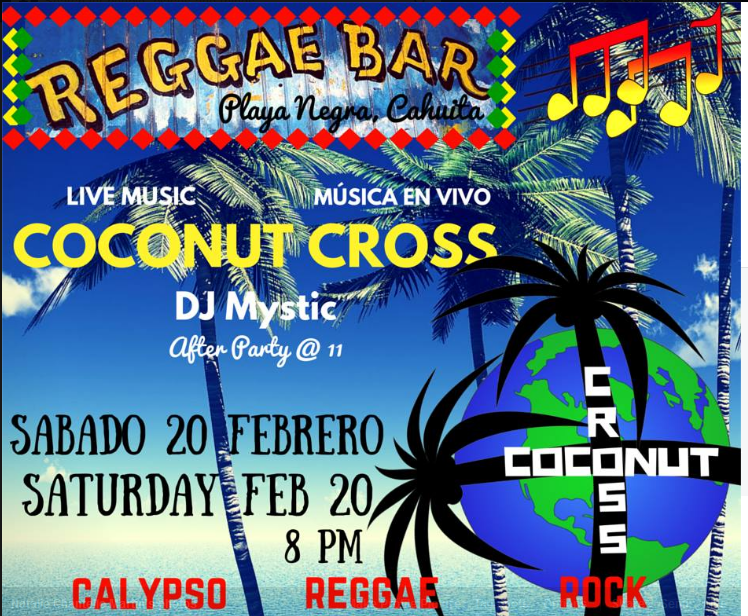 The Coconut Cross performance is followed by music from DJ Mystic at the after party for an unforgettable Saturday night in Cahuita. Ice-cold Imperial is abundant and Yoconda will be feeding the masses with her tasty barbeque plate -- get there early to avoid disappointment! Costa Rica - The perfect county? 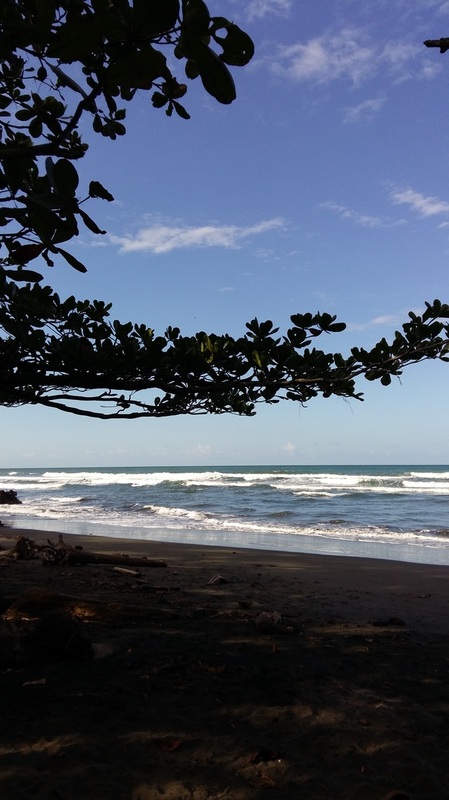 The BBC World Service is looking for the perfect country and unsurprisingly, Costa Rica is on its list of nominations. 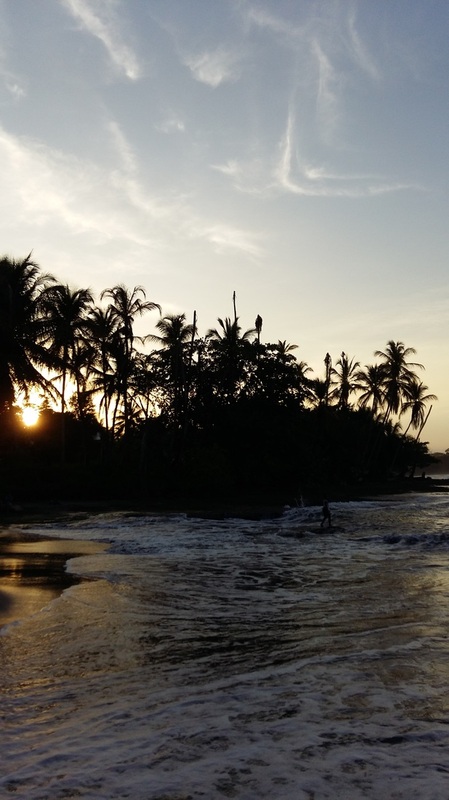 With its aim to ecome carbon neutral by 2021, its success in running on renewable energy sources in 2015, the abolition of the army in 1948, high life expectancy, universal healthcare and education, and 97% literacy; Costa Rica has a lot going for it! 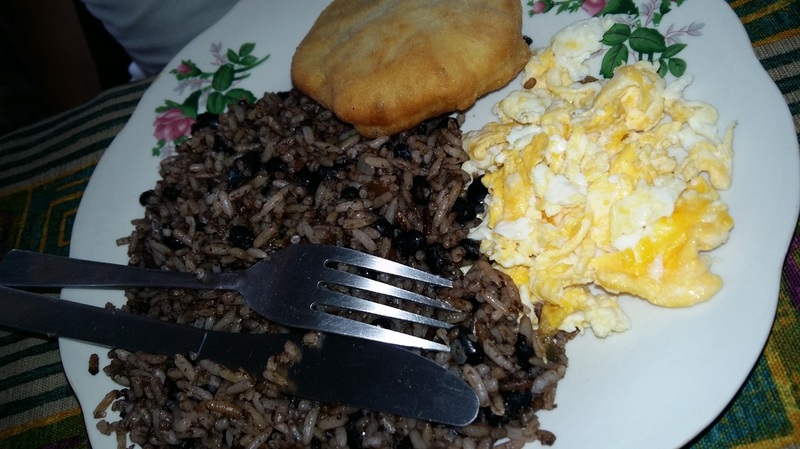 Sara and Nando keep busy running La Casa del Mango, and are looking forward to updating this page soon!!!!! Contact us at: Telephone: +506 2755 0173 Email: info@casamangocahuita.com Facebook: https://www.facebook.com/lacasadelmango/ We'd love to hear from you ;) We are linked to the Adventure Hotels of Costa Rica network which is a website dedicated to boutique establishments in Costa Rica.